Bangkok’s Riverside is home to some of the best restaurants in town, many of which take advantage of the cool breezes, sumptuous views across the water and sit in ideal spots next to the Chao Phraya River’s many piers and luxury hotels. As in so many waterfront cities, the restaurants that line the banks of Bangkok’s Chao Paya River are often, by default, tourist traps. 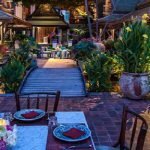 Alongside the old temples, warehouses, wooden houses and old buildings you’ll find local restaurants perched on old wooden piers serving seafood platters, floating restaurants and smart places to eat in Thai houses along the river banks. Under the direction of the eclectic Englishman, executive chef Tony Wrigley, indulging in fresh, local flavors will be a must for locals and visitors alike. 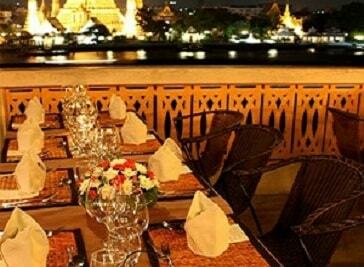 Sala Rattanakosin Restaurant and bar, sala rattanakosin’s restaurant, is a scenic, riverfront dining option, overlooking the legendary chao phraya river and the mystical temple of dawn.